This is the first time in history that we are sending our team to perform in that part of the world” quoted Billy Miestrell, Body Glove Owner and SVP, “and we are very excited about the opportunity!” he added. 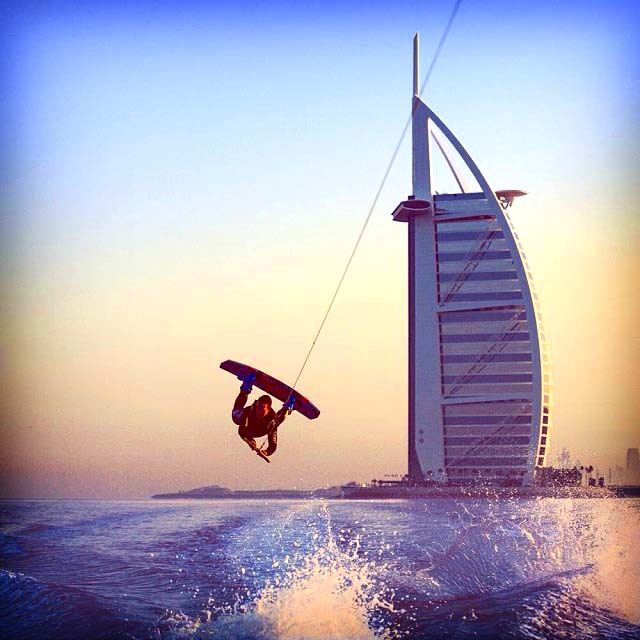 The magic of their performances is going to take place on April 4, 2014 at the world famous Xtreme Wake facility in the ultimate high glamour City of Dubai – UAE..
To mark this occasion, Centurion Boats will be unveiling their brand new, ultra cool Body Glove Limited Edition ENZO FX22 in the ruby blue waters of the Arabian Peninsula that very same day! 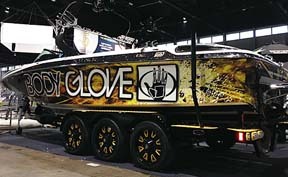 This unique and extraordinary event is going to be highly published and filmed thru our partners Alliance Wakeboard magazine www.alliancewake.com and our very own award wining Body Glove Entertainment team headed by Greg Browning. “Our Team is thrilled to be preforming on the high profile world stage” quoted Browning ……”what an great back drop the skyline of Dubai will make for our film!” he added. “We are extremely proud and excited to have this opportunity to presented to us by our local partners in the Emirates,” says Robbie Meistrell, Body Glove International CEO. “We know the folks there will never have seen a performance as specular as this one”.